Upcycles is an amazing neighborhood bike shop on NE Dekum, near Woodlawn Park. The shop has moved since I wrote about it the first time (read up about the shop here). Kai Drutzel, the owner, says it’s like a dream come true. I stopped by the shop the other day to check out the new space. 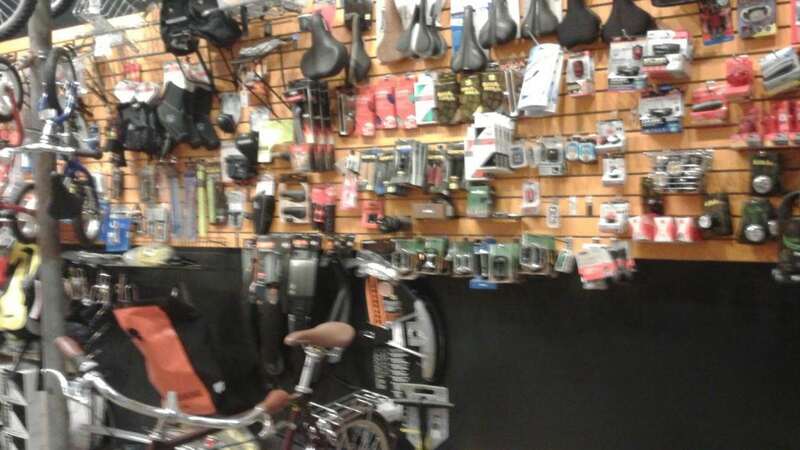 Everyone Knows Your Name: This shop is really the bike shop where everybody knows your name. While I was there, customers kept showing up and were greeted by name. Kai knew them and their bikes. He helped them, or even serviced their bikes right on the spot. He gave a tune up quote while another customer waited. This is definitely the place to go for some good old-fashioned bike love. Better Space, More Stuff: Now, with around 600 SF, the shop has more room for accessories, and has plenty of offerings. Kai was also busy working on some remodeling and improving insulation to the shop. Kai says he wants to create a space where people feel comfortable hanging out. Rent a Bike: Upcycles is now offering bicycle rentals in the warmer months. So check out this place if you don’t have a bike, or have visitors coming to town who would like to explore Portland in one of the best ways possible – by bike. 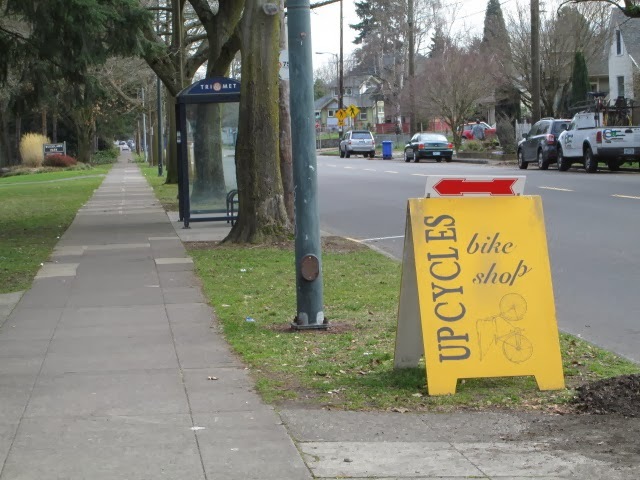 Upcycles is now located just a few doors down from its old space, at 909 NE Dekum. Stop by. Kai would love to see you. Stay tuned for some photos once the remodel is done. I’ll be stopping by the shop again and will update this post!